We spent 5 weeks at #1, but couldn't quite finish there! CONGRATS on a great season!! * Finished the season over 115 hours AHEAD in practice time! * Every team member attended every minute of every day of every tournament! Do you see why we are always smiling? 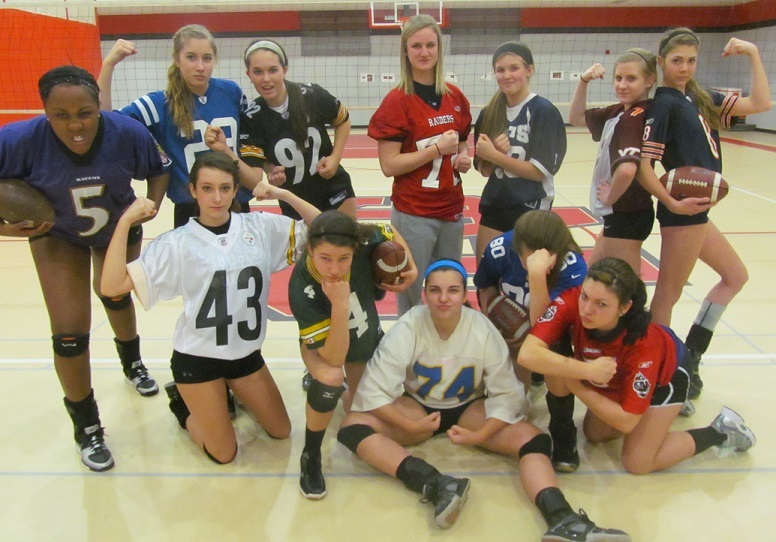 This has been the most hustling, competitive 15's team I will ever work with. I'm SO proud of them! CONGRATS and have a great summer! Part Time Assistant Coach: Jessica Flanagan, head vball coach at Ferrum College. 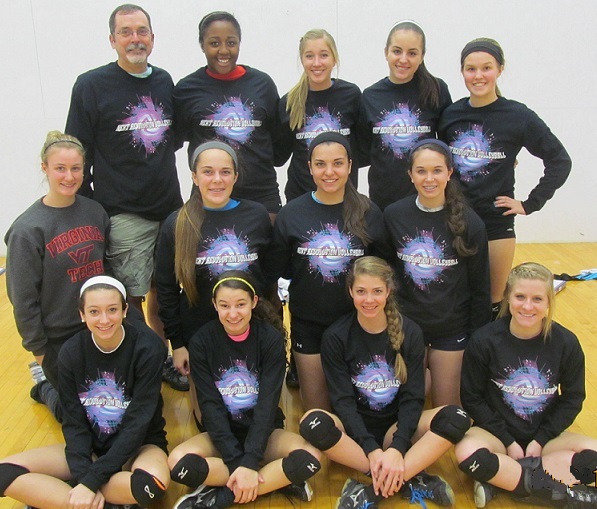 Jan 18-20: Monument Open Division (Richmond): Record: 9-11 in 15's OPEN! Jan 25-26: K-2 Elite Open Division (Sieverville, TN) Record 9-8 in 15's OPEN! 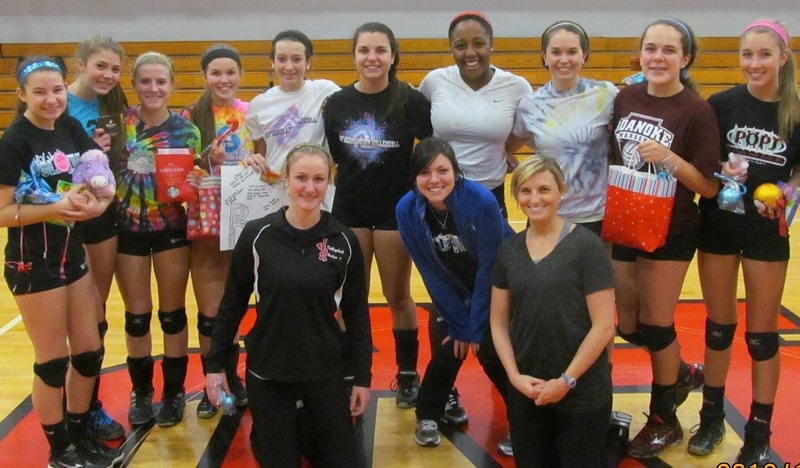 Feb 8: Day Tournament (RVC North) 13-0, 1st place! Feb 15-17: Capitol Hill Open Division (Washington DC) 10-7, we won our flight! 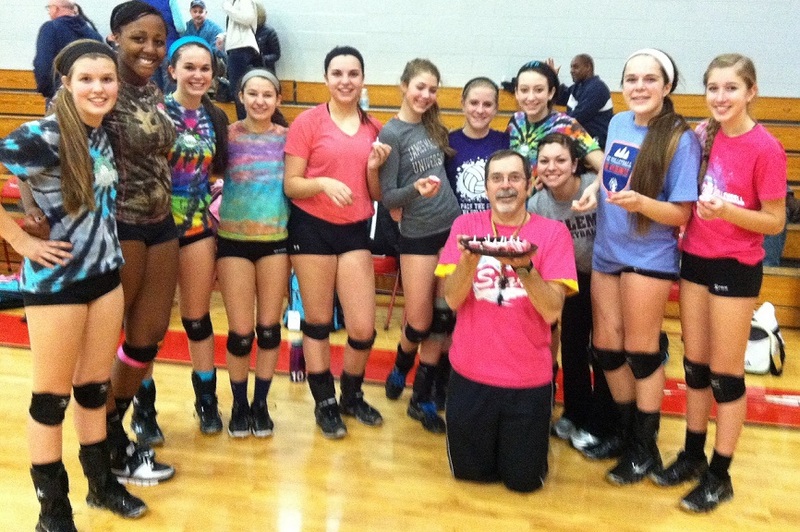 March 1: Day Tournament (RVC North) 12-1, 1st place! 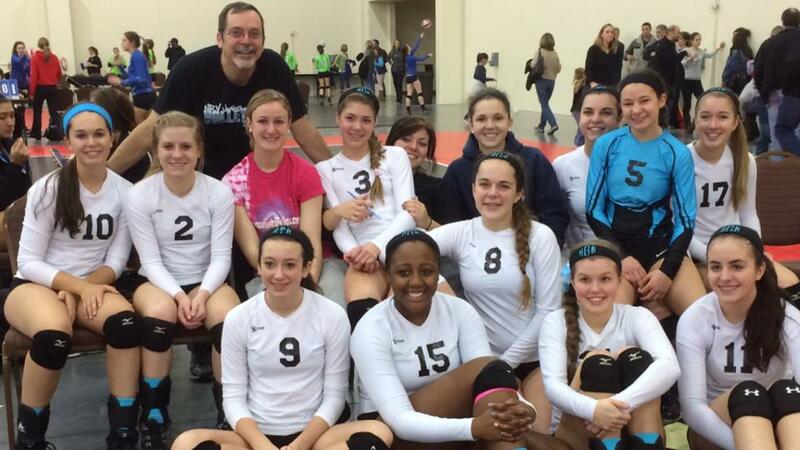 March 15-16: Shamrock Festival 13 - 6, 5th place of 90 teams, and the only 15's team to make the final 8 in gold! April 4-6: Big South (Atlanta) 10-9 in 15's USA! April 12-13: HiNeighbor (Asheville) 16-1 and CHAMPIONS! Sunday April 27: The Old Dominion Region Bid Tournament (Hampton) 3-3 in matches, 6-8 in sets! 3rd in the ODR! May 3-4: Revolutionary Rumble (Williamburg) 12 - 7, 11th out of 48 teams!! So the 2014 season ends with us being winning 110 and losing only 58! This team is amazing! At practice Tuesday, Feb 25th, Lauren Stringer won gold, Lauren Harrison won silver, HB Galbrath won bronze! CONGRATS to all the great athletes! 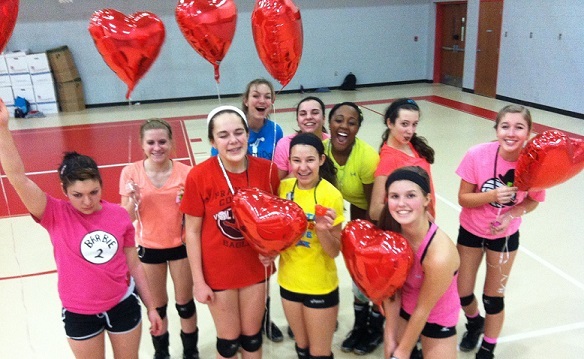 On Tuesday Feb 11, Bradley brought balloons! THANKS!! Coach Houser's birthday Feb 6! We didn't think all those candles would get blown out. 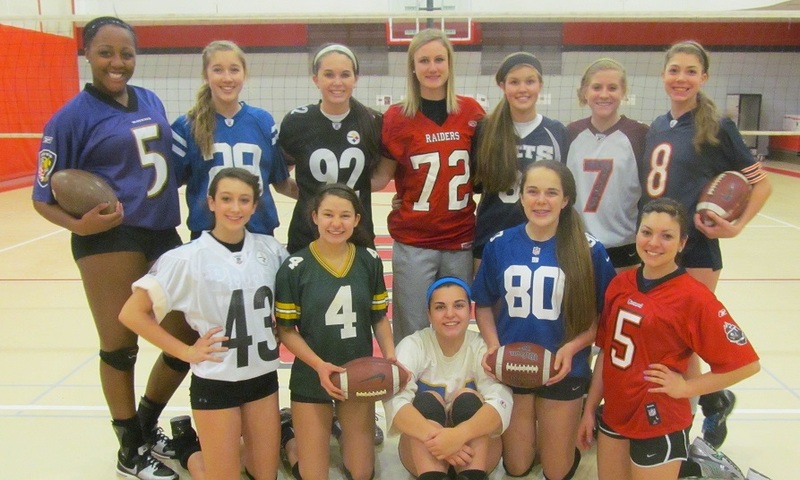 On February 2, we had Super Bowl Practice! 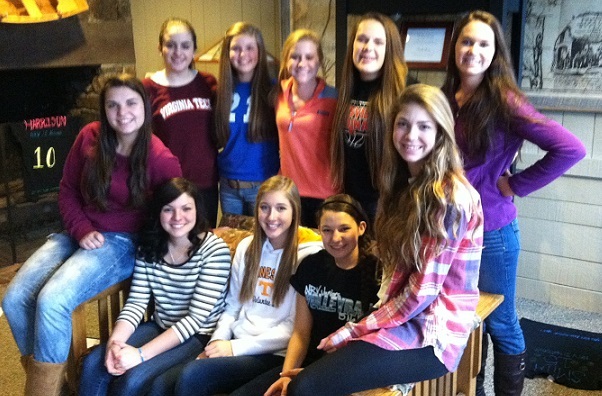 K-2, the Elite weekend, Sevierville Tenn, Jan 25-26! Amazing Sunday 2-0, 2-0, 2-0 and 1-2 for 3rd in Silver! At the Peaks Of Otter, Jan 11, 2014. We painted T's and played Whose Line Is It Anywhere for the first time! Secret Santa, Dec 19th 2013! Merry Christmas! 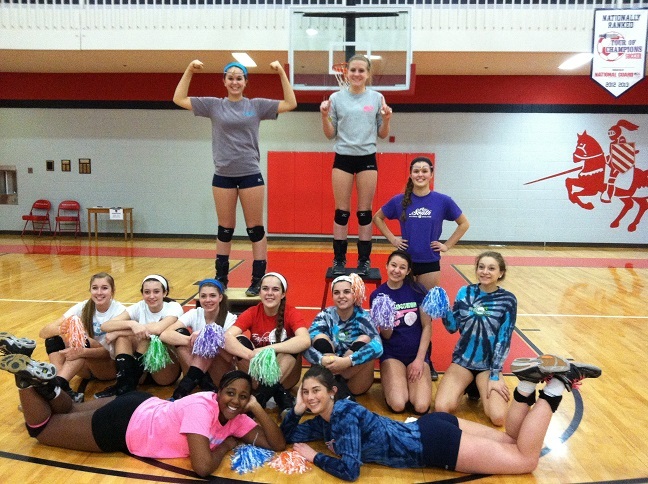 Our first practice! December 1, 2013!